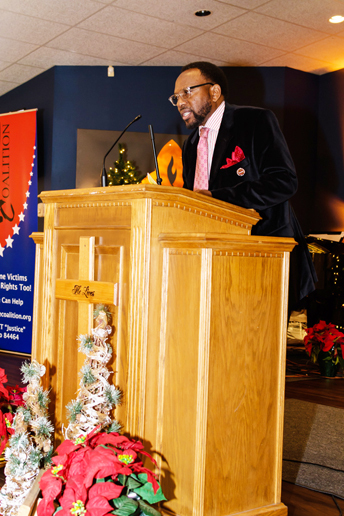 Justice Coalition Executive Director, Michael Liles. 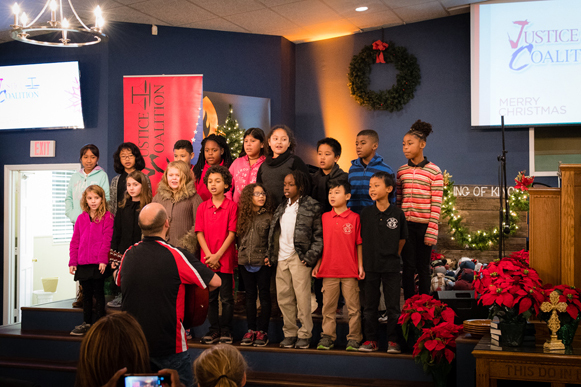 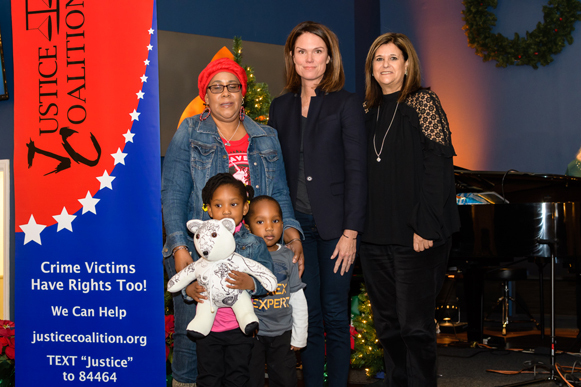 Although the evening was both cold and wet the memories were warm at The Justice Coalition’s 4th Annual “Seasons to Remember” service at Redemption Church on Jacksonville’s Westside. 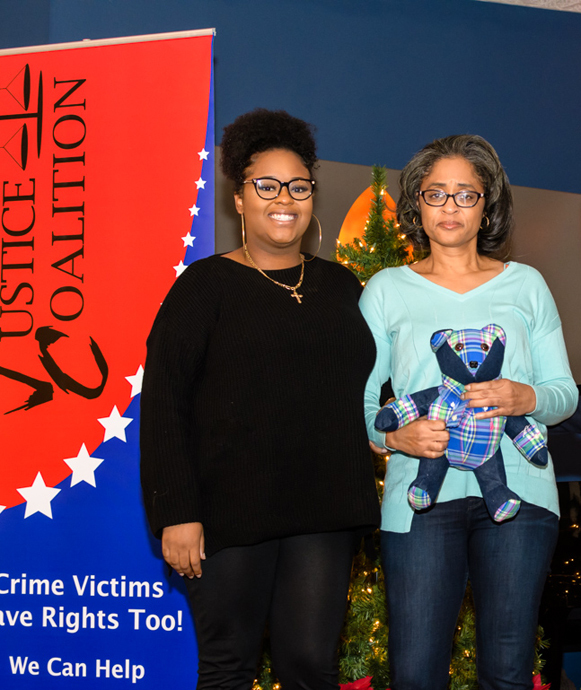 The celebration recognized family members whose loved ones had been taken from them due to crimes or unforeseen circumstances against a member of their family. 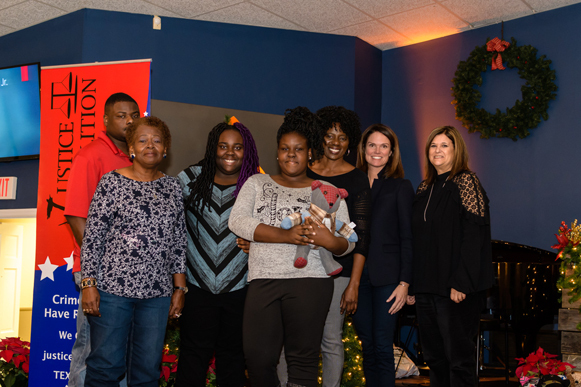 Master of Ceremonies, Julia Jenae, from First Coast News recounted that she had lost an uncle to a random act of violence and this was a time for reflection and thanks. 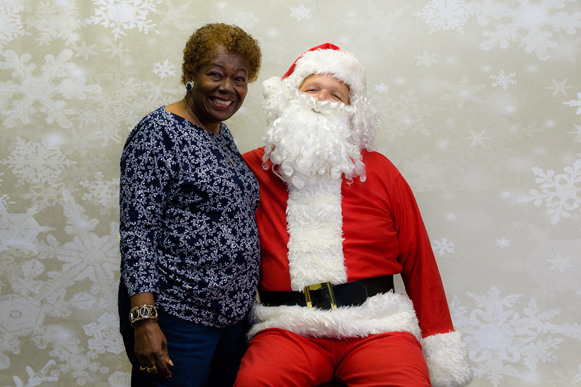 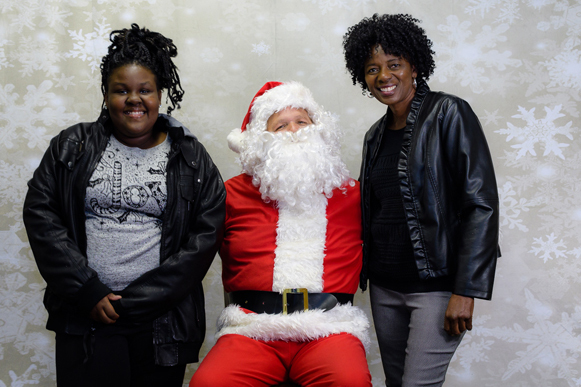 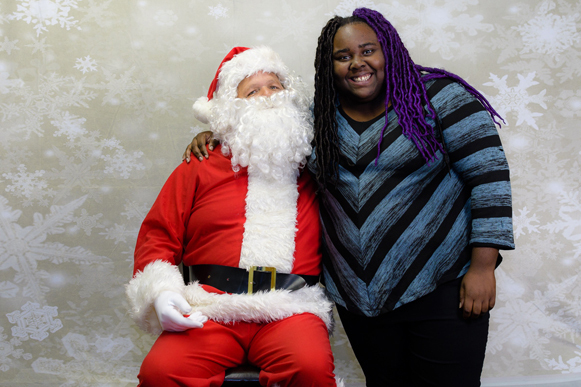 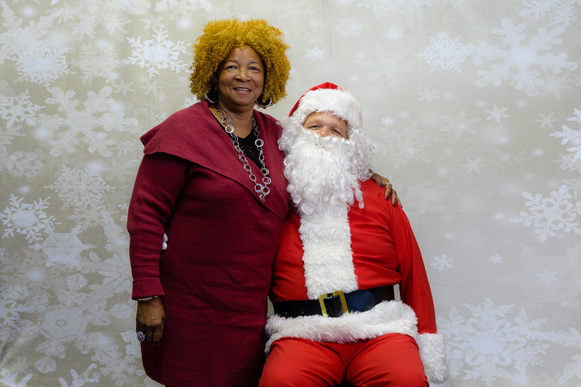 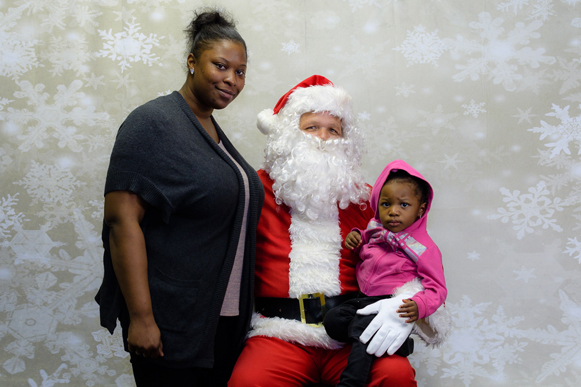 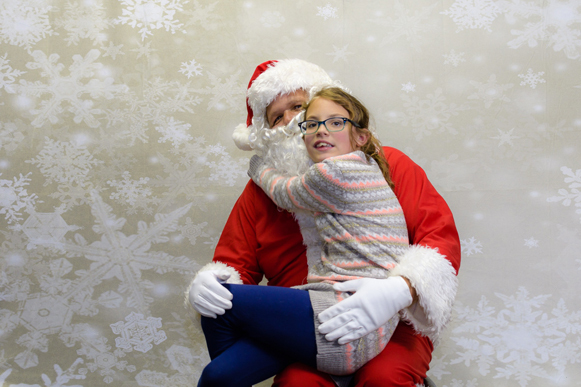 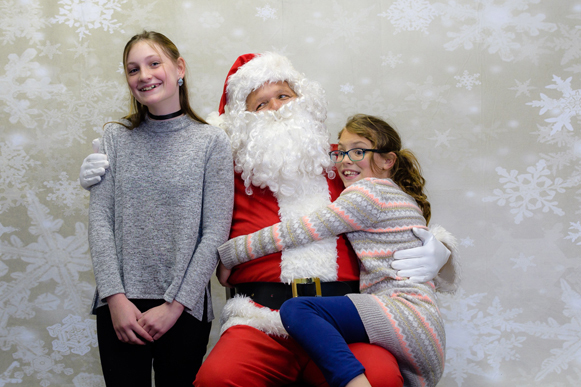 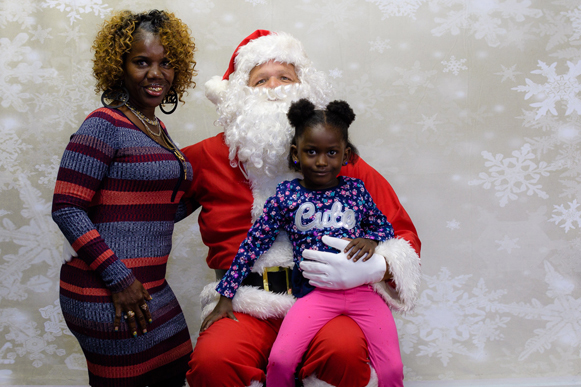 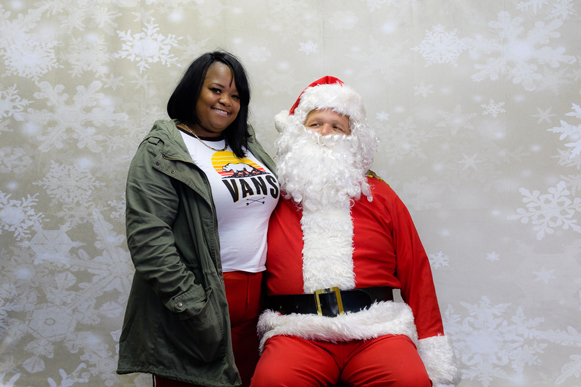 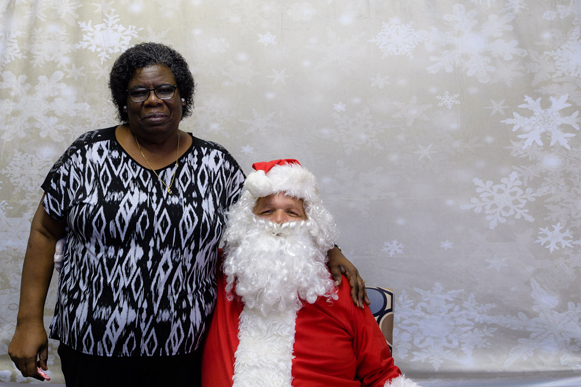 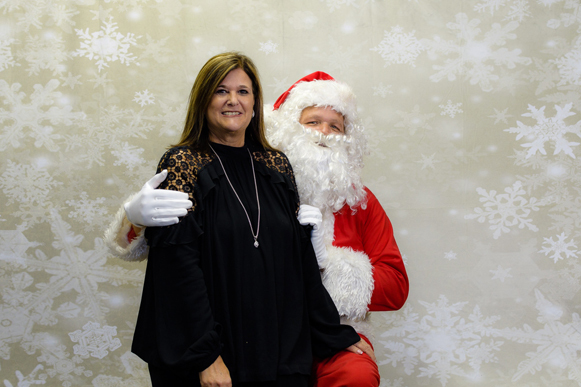 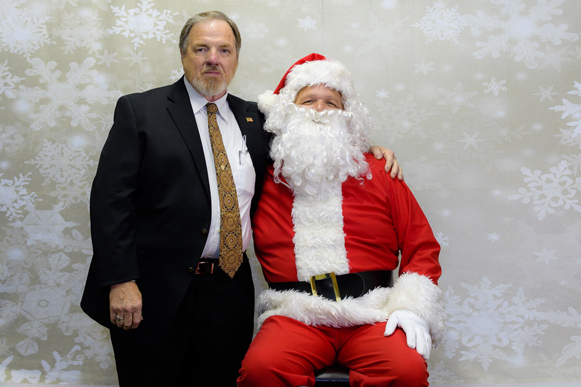 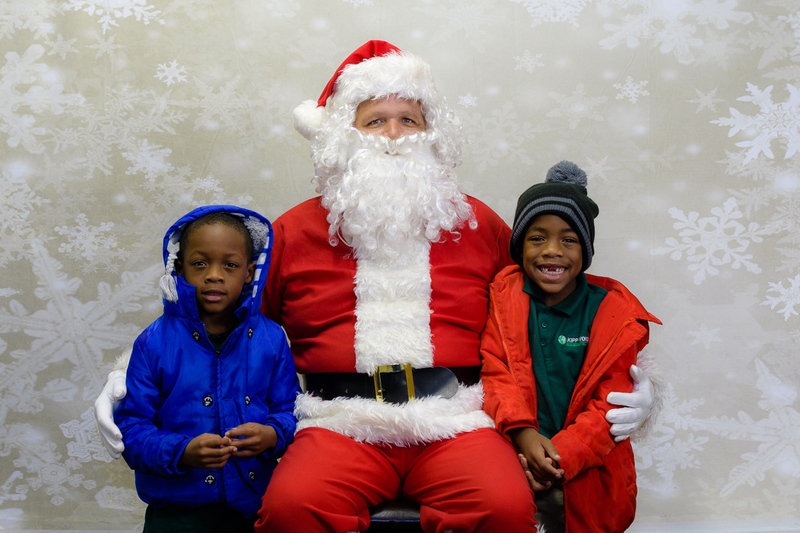 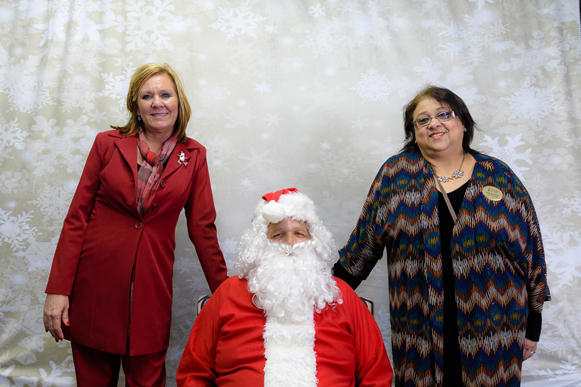 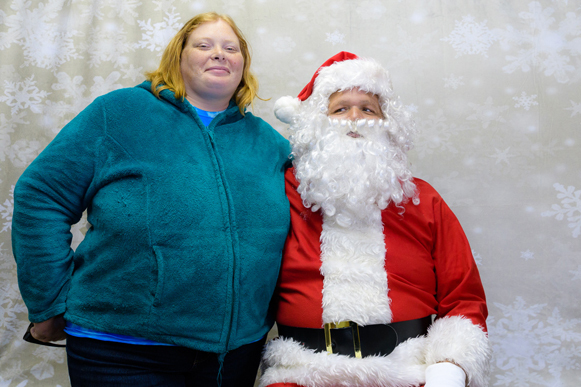 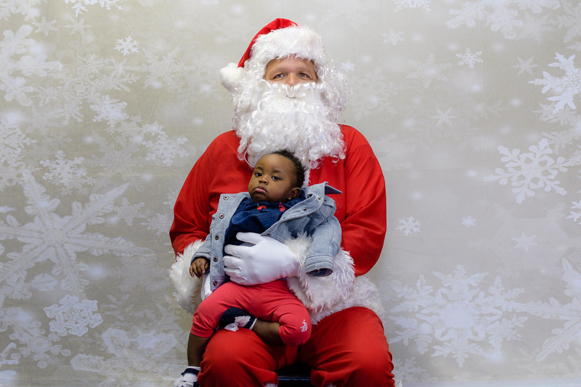 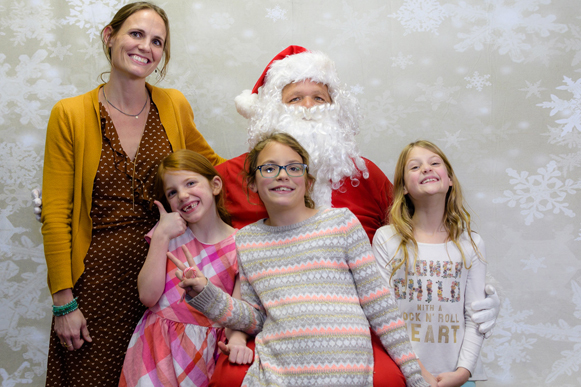 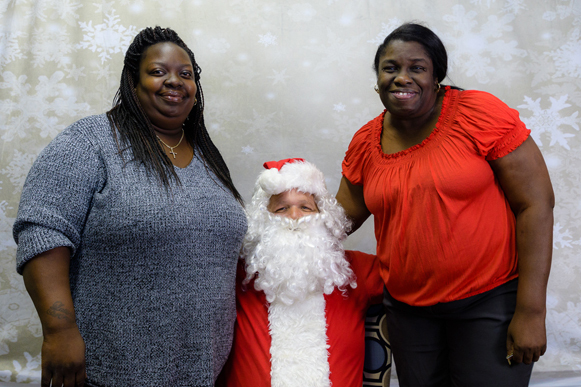 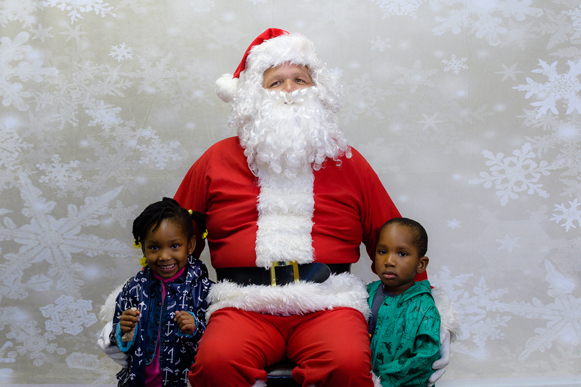 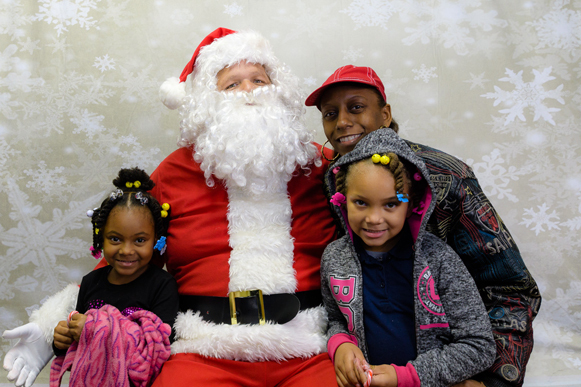 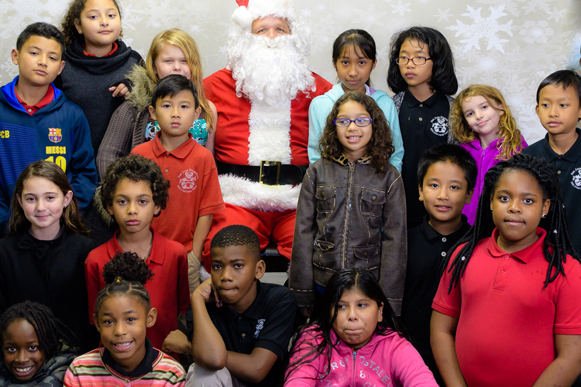 Highlighting the agenda was JC’s volunteer, staff and friends eagerly waiting to have their picture taken with Santa! 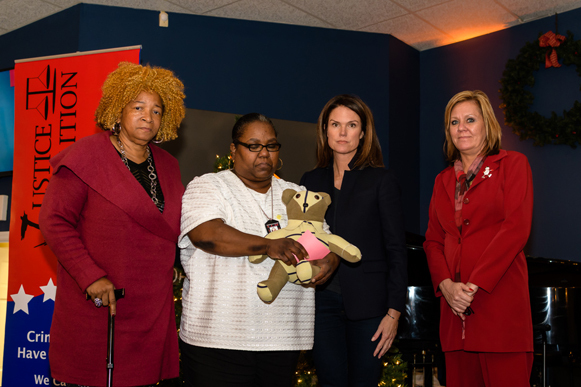 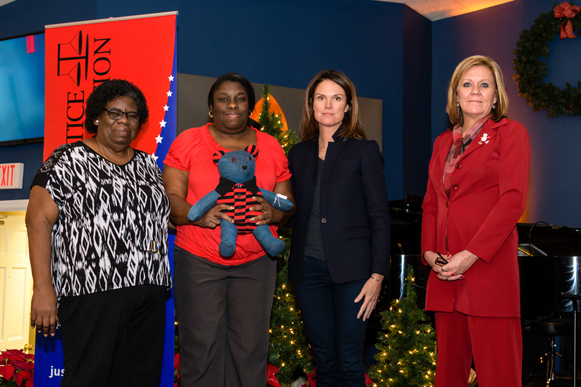 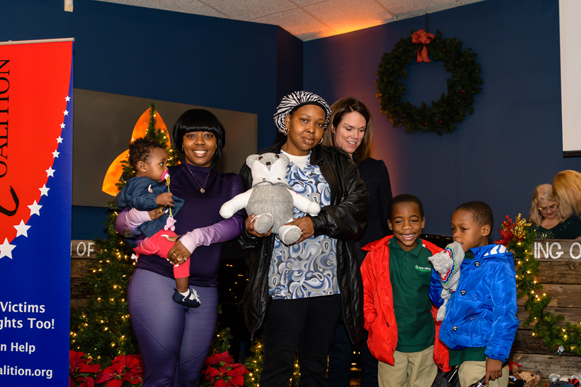 Featured guest State Attorney Melissa Nelson presented the surviving family members with a Teddy Bear that had been made from clothing that had been worn by the victims when they were still with the family members. 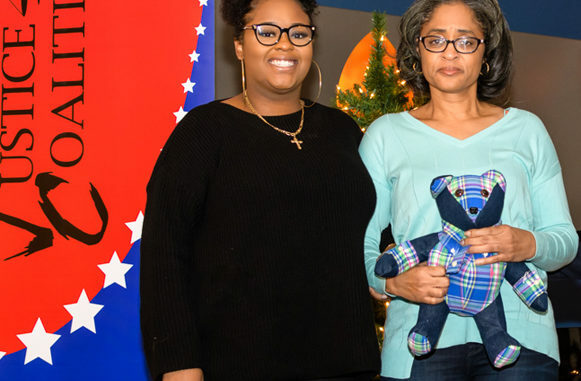 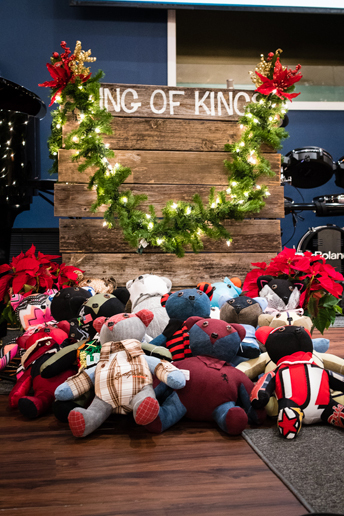 The cuddly bear dolls were handcrafted by Donna Lappin whose goal is to give comfort and a renewed sense of security to people who truly are in need of a Christmas hug! 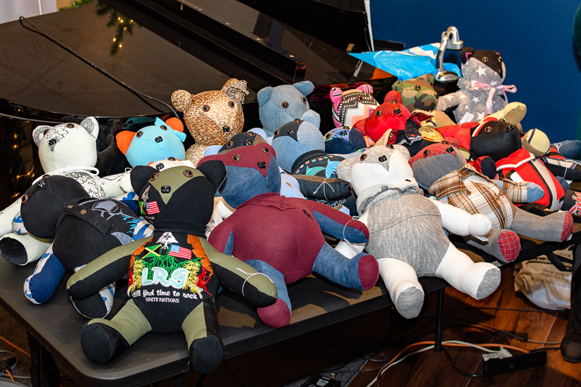 In addition, a Bible with the victim’s name were given out with the bears. 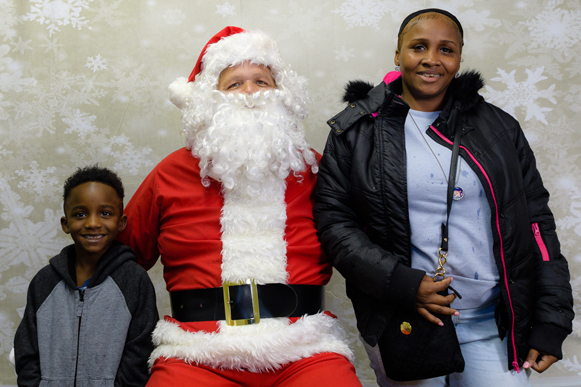 The celebration ended with prayer of love and hope from pastor Amos Bankhead, “despite the dampness of the weather, the warmth inside was a shared commonality,” she said.